The truth is that I'll probably never buy a new Canon 1DX2. I am leaving the door open to an impulse purchase of the camera for $500 a few years from now as I did when I decided to give the 1Dmk2I a try a few years back. The camera had been out for a while and lost, what? 90% of its value in less than 4 years? And it was a fun $500 camera; really. But the truth is that there are very few freelance photographers (outside of a handful of sports photographers) who have much need for a camera like this (or the Nikon D5) and almost certainly very few of our readers here at the VSL who would appreciate the extra weight over what they are shooting with right now. I've been looking through all of the information I can find about this camera because I had one pressing interest in machines like this; how do they perform as 4K video cameras? The Nikon D5 turns out to be a bust for 4K video --- unless you couple it with a $2,000 external video recorder. And if we need to pay that kind of money ($8000 = camera+recorder) to get basic 4K (without the niceties of XLR mic connectors, etc.) we might as well buy a Sony FS7 or an FS5 and be done with it. 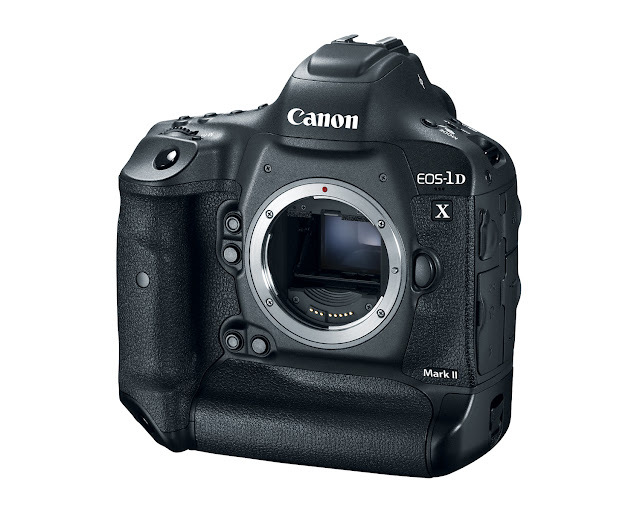 From what I can see the Canon might do 4K for the 29.99 minutes if you are shooting to an internal CFast card. If that's the case then they just did another leapfrog over the Nikon offering but for the rest of the performance specifications it is, for the most part, just another case of: If you have Canon lenses you buy the 1DX2, if you have Nikon lenses you buy the D5. If you have mirrorless lenses you just ignore all of this. I certainly don't mind camera makers making new cameras all the time, after all, that's their job. What I have come to mind is the breathless faux excitement meant to roil up those left with good credit and get them all excited about being the first one on their block to drop another six thousand dollars on a camera that's tremendous overkill for nearly all of us. Steve, Precision-Camera.com, and everyone else: Just calm down! In the last two weeks I have been advised to pre-order (NOW! NOW!) the Fuji XPro2, the Olympus Pen F, The twin Nikons D5 and D500, and now the 1DX2. Please, just send me the product information.... Oh heck, don't even do that. If the product is interesting enough it's already on our collective radar. After the introduction and subsequent withdrawal and then re-introduction of the Olympus EM10.2, the various fixes and recalls of the D750, the light leaks in the Canon 5Dmk3, and the oil leaks and sensor spatter of the Nikon D600 (just to mention a few brand's introductory disasters) I think I'll remember the lesson I learned way back when Leica first delivered the original M8 (purple pollution fixed with accessory IR filters) and wait until the first generation of rabidly motivated buyers snaps up whatever camera body I might be interested in. I'll let them suffer the slings and arrows of outrageous design shortcuts and, hopefully, will be able to jump in after the manufacturer has first denied, and then acknowledged and fixed, whatever issues there might be. Once the product is sullied in the press, and in the forums, and once the product is perfected, I'll be happy to pick one up ----- for a discounted price. In retrospect, it's been more fun to cheery-cherry pick the best of the used "instant classics" than it has been to experience the trepidation of being a bleeding edge buyer of the latest cameras. I am certain the 1DX2 is a fabulous camera. I am equally certain that its target market knows who they are and exactly what the updates and upgrades might provide to them. But knowing what I know about the way I shoot, none of these super cameras are anywhere near my wish list. Just saying'. Sorry, no affiliate link. Not a product I'm shooting personally.